The 2016 HVACR Leadership Awards is bigger and better than ever with a new category included in this year’s program. There are now six awards with winners to be announced at the CCN Live breakfast event on August 2, 2016. Nominations officially opened on March 1, 2016. The new award featured in this year’s program is ‘Woman of the Year in HVACR’. It’s a category that recognises the successful career of a woman working in the climate control industry. The winner of this category will demonstrate excellence in her field and is also a source of inspiration for other women to follow. Only about 13 per cent of engineers in Australia are female. This is one of the reasons why this category has been launched. However, it is important to note that this category is not restricted to female engineers. The winner can demonstrate excellence as an administrator, an executive, a sales person or as a researcher. The only requirement is that nominees work in the HVACR industry and have the qualities of a winner. Due to a high level of interest, most award categories have secured sponsorship. But this award is still in need of a sponsor so if your company supports diversity then this is a great opportunity. The HVACR Leader of the Year Award is for a proven winner, someone with a well established career that has contributed to the overall development of the HVACR industry. Daikin A/NZ national marketing manager, Dan Tosh, said Daikin is sponsoring this award because it encourages innovation, collaboration and the continuous progress of the industry. “The pace at which markets are changing and the demands that this places on companies to adapt is ever increasing and the HVACR industry is no different,” Tosh said. “Daikin’s global approach is to always support the development of the local industry. In Daikin Australia’s case we have invested in our site in Sydney with a world-class manufacturing facility and R&D labs. The Industry Rising Star Award (under 35 years of age) recognises future champions and young achievers. ABB is sponsoring this award for the second year in a row. ABB Australia drives and controls general manager, Michael Briggs, said it is important to encourage rising stars within the industry. “They are the future leaders of tomorrow driving the industry forward. ABB invests in the future everyday, spending $1 billion each year on R&D and employing 8,000 technologists in 20 countries,” he said. Two examples of how ABB supports young Australians is the ABB Graduate Engineering Program and the Australian Indigenous Mentoring Experience (AIME). “ABB supports the Rising Star category because we believe it is important to recognise the achievements of upcoming talent. Young people need encouragement, inspiration and the confidence to become leaders of the industry of tomorrow,” Briggs said. This category proved popular last year and CCN expects plenty of interest again in 2016. This award recognises an innovator that has led an outstanding project, product or program that has had a significant impact on the HVACR industry. Or it could be a person leading an innovative company. There are so many ways to demonstrate excellence in this area. If this category reflects the qualities that has made your company successful then it might be the right award for you to sponsor. This is the final award category available for sponsorship. The Sustainability of the Year Award recognises excellence in sustainability and this year is sponsored by Heatcraft Australia. The company’s director of marketing, Roger Pecnik, said Heatcraft demonstrates its commitment to sustainability through the manufacture and distribution of value added equipment which use both advanced component and refrigerant technologies. “We work closely with our parent company Lennox International, and leading global partners to make sure our Kirby and Lennox equipment deliver efficiencies in terms of energy and installation,” he said. “One area of advancement is the use of environmentally friendly R744 refrigerant in low temperature supermarket applications. These customised Kirby Rack Solutions help our customers to be good environmental citizens and reduce their carbon footprint.” Pecnik said reducing the impact on the environment is of value to both the contractor and business owner and will always be highly regarded. Last year, this category was the most competitive in the awards program which reflects the current industry focus on energy efficiency. 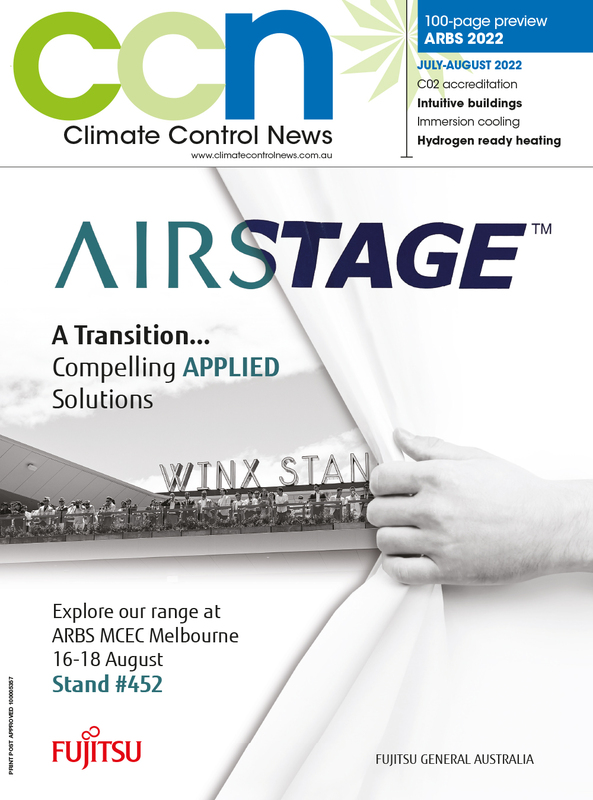 The Australian Refrigeration Association (ARA) is sponsoring this award for the second year in a row. ARA president, Tim Edwards, said there are dozens of important ways to increase energy efficiency in HVACR. “They span heat load management, energy management and control, and mechanical engineering; industry can reduce its energy consumption by about $8 billion per annum," he said. Edwards said ARA sponsors this category to encourage more action by industry when it comes to energy efficiency. “Industry needs to thoroughly research and understand these opportunities across a wide range of technologies and to recognise the importance of integration because so much more can be accomplished,” he said. Being involved in the HVACR Leadership Awards is such a humbling experience. It is an opportunity to see first hand the best of what industry has to offer. Each year we see industry comes together to showcase an abundance of talent. We also get to celebrate innovation, achievement and excellence. The HVACR Leadership Awards is still in its infancy, but it’s growing at a phenomenal rate thanks to sponsors like ABB, ARA, Daikin and Heatcraft. Now it’s your turn. Nominate yourself or a colleague at www.climatecontrolnews.com.au/awards.